France’s National Theatre, the Hexagon, has been a challenging space for sound reinforcement since it was built in 1976. 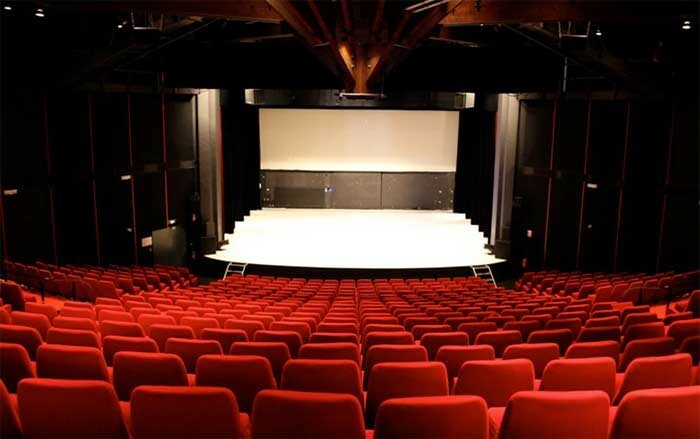 The perfectly shaped hexagonal room, with a seating capacity of 560, hosts 35 shows each season. 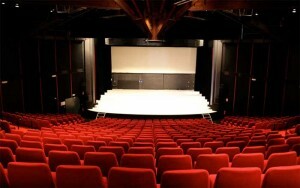 It also regularly offers arts community training programs, conferences and debates. Olivier Delpeuch, sound engineer and head of the audio department at the Hexagon, recently underwent a search for a new sound reinforcement system for the theatre. After a thorough review, he opted for a distributed system made up of Adamson Point Series loudspeakers. The solution was jointly developed by Adamson Systems’ French distributor DV2 and sound company Music Plus. Antoine Maurel, project manager at Music Plus headed up the installation of the system. The system is designed for flexibility, allowing it to adjust to the needs of the performances. Sound reinforcement is provided by ten Point 12 and six Point 8 loudspeakers powered by a Lab.gruppen PLM 10000Q and C48:8 amplifiers with a Lake LM44 for processing. Adamson's Point Series loudspeakers employ the same large diaphragm compression drivers found throughout Adamson's touring product range. The Point 12 is available with 40° x 20° and 60° x 40° (H x V) rotatable waveguides for maximum flexibility in constructing point-source arrays. The smaller Point 8 loudspeaker is available with a 90° x 60° (H x V) rotatable waveguide. The two-way enclosures also feature Adamson’s Side Lock Revolver (SLR) rigging system which includes built-in sockets for both vertical and horizontal arraying methods. In picture: Adamson Point Series loudspeakers provide the flexibility the Hexagon requires given the room unusual shape.